After months of pouring over reviews, I finally decided on a Razer Blade Stealth for my on-the-go development machine. Here’s the 30 day review. For the past 4-5 years, I’ve been laptop-less. 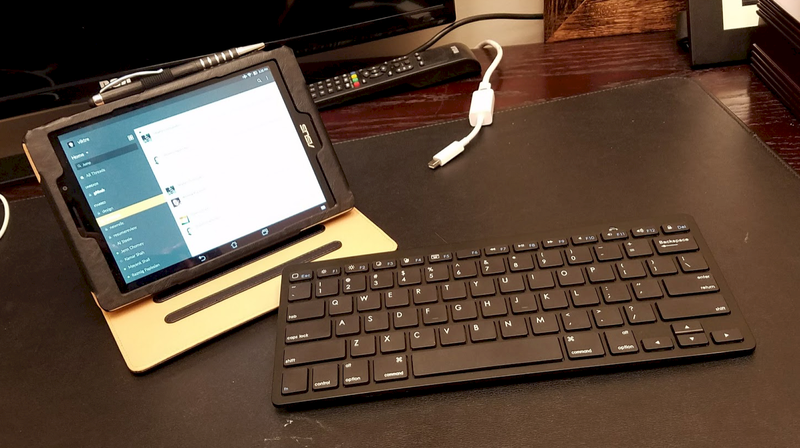 Most of my work is done on my primary desktop machine (an aging behemoth, but still spry) and any development on the road happens via my ASUS ZenPad 8, a bluetooth keyboard, and good old remote desktop. Not ideal, but when I’m travelling, my work product tends to be meetings, email, and short code reviews. Over the past year, hover, I’ve been traveling quite a bit of the time. Time for an actual laptop. I’m a technologist. My “wishlist” was basically: everything in the perfect footprint that didn’t break the bank or weigh 50 lbs. Enough hard drive space to partiton and run all the standard .net tools, a few database instances, and video editing tools. 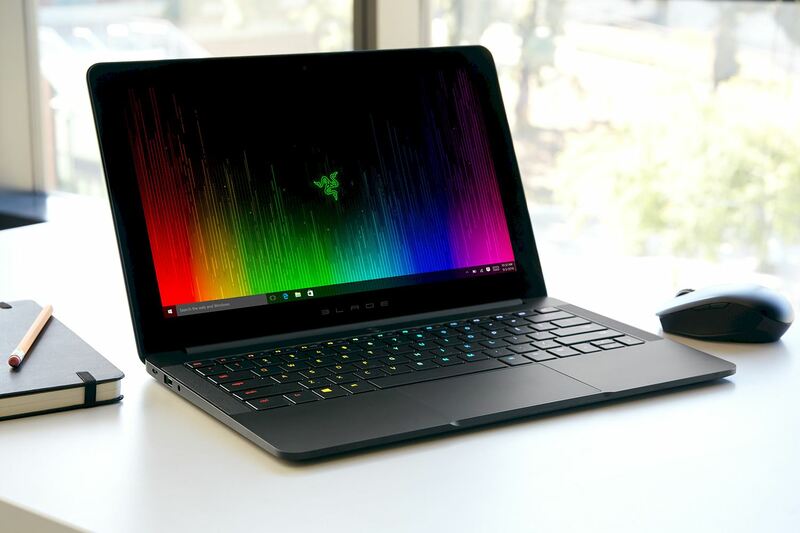 I ended up picking the Razer Blade Stealth over the Macbook Air, Zenbook 3, and XPS 13. For me, the Razer ticked all of the boxes, hit a price point I liked, and the expansion option with the Razer Core (in the event my desktop ever croaks)–tossing my 1080 GTX into a little container, plugging it into my laptop, and having a full desktop–is very appealing to me. This includes the recent BIOS update (6.05) which addressed some fan noise issues. The initial boot and load sequence into Windows 10 was just like booting up a clean build. No junk, no … well, anything. Synapse (their chroma, macro, everything manager) was pre-installed along with expected drivers for the NIC, audio, etc., but that was it. Stellar. Performance has been pretty amazing for an Ultrabook. Display - the 12.5” 4K display is amazing. Going between it and my 30” Dell UltraSharp LCD (that’s going on 12 years old) is almost painful. I thought the tiny screen would be problematic for me (using 3 screens, 30” + 2x27”), but Visual Studio, Premier, and everything in between is crisp, clear, comfortable. With a single screen, the built-in Windows 10 multi-desktop functionality is a huge help. One thing to note is the brightness. It’s bright. We’re talking starring into the sun bright. Setting the display brightness to 60-70% is PLENTY bright for day to day tasks and 100% sitting outside. The only qualm I have with the display is the really large bezel around the display and the casing. Seeing some of the edge-to-edge laptop displays out there right now, I’m curious why they opted for a 12.5” instead of bumping it to 13” and cutting down on that bezel. For a rather flashy laptop, it looks a bit dated side-by-side with some of the competition. Sound - the Intel audio is just fine. The system comes preloaded with some Dolby Digital post-effect software which does a fine job; however, on the go, I am a lover of my Even E1 headphones, so it’s all disabled. The speaker output is good enough though… a bit tinty without much bass, but acceptable. NOTE: The Blade Stealth also comes with their Synapse Surround Pro software (packaged and downloadable separately). It’s okay, though only for headphones/earbuds. 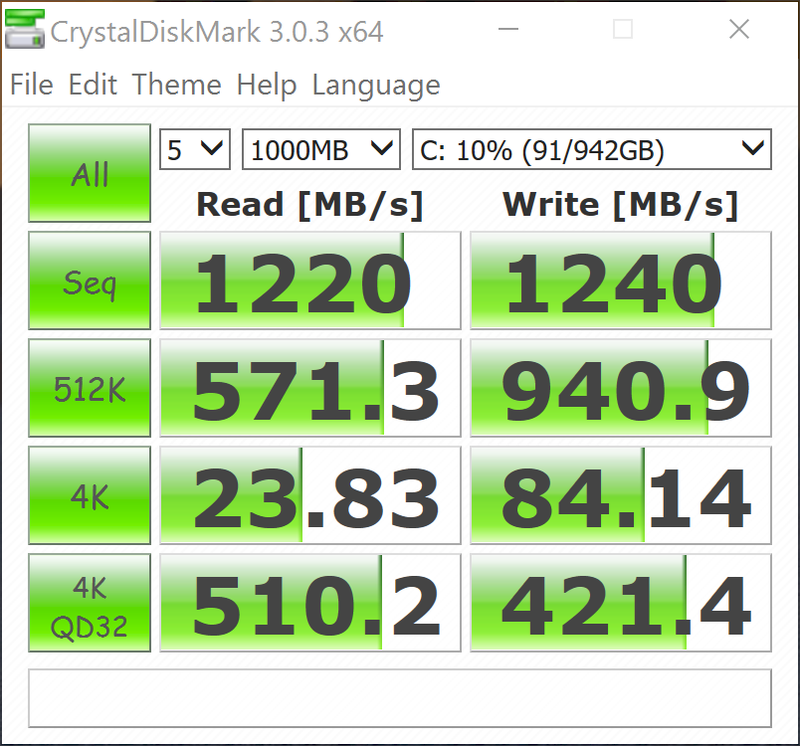 HDD performance - overall, hard drive performance is more than I expected from PCIe M.2 drives. As you can see, they more than meet the average speeds. There’s little to no stutter in loading 3-4 instances of Visual Studio or drag and dropping videos into Adobe Premier. Graphics - the integrated graphics, an Intel 620, is perfectly acceptable. However, it’s VERY noticeable that it’s integrated and felt even in Visual Studio. For Visual Studio, even though it tries to use it, disabling the rich client visual experience goes a long way to improve this. Adobe Illustrator and Premier function quite well; perhaps better than Visual Studio (all recognize the Intel 620 as a compatible GPU for enhanced performance). NOTE: In the Intel HD Graphics Control Panel, I did notice an improvement in Visual Studio by going into 3D and turning on Application Optimal Mode. YMMV. As you can see from the DirectX 3D Mark score… the results were less than impressive for a ‘gaming machine’. For portability and sturdiness, the Blade Stealth is perfect. The chassis feels solid and high quality. I’m very impressed. The device is thinner than my Chromebooks! The power charger, in the form of a USB-C (Thunderbolt 3) connector, is solid and the power brick is one of the smallest I’ve seen (even including Apple). There is, however, the downer that, like the complaints with the Macbooks, if you want to use the Thunderbolt 3 connector, you can’t be charging your laptop at the same time. The battery life is more than acceptable. I’ve let it run on battery off and on and get an average of 4.5-5.0 hours per charge (100->1%). That’s a little less than some of the reviews, but considering it’s running a full server environment–even passively–I’m OK with that. The USB 3 connectors are what I’d expect–I haven’t tried to transfer files across them. They don’t support Fast Charging, which is a bit disappointing, but not a deal breaker. The touchpad is solid and high quality, albeit a bit slow (even with the pointer speed cranked up in the mouse settings). I’m a bit spoiled by my last laptop’s touchpad controls that allowed me to disable the touch pad when a mouse was connected–the Synaptics ClickPad drivers are no match for the ASUS customized software and I miss it dearly. The keyboard feels very responsive and touch types very well. There’s just enough feedback from the keys and the chroma colors ARE pretty awesome. Overall, I’m very pleased with my decision and the Blade Stealth. 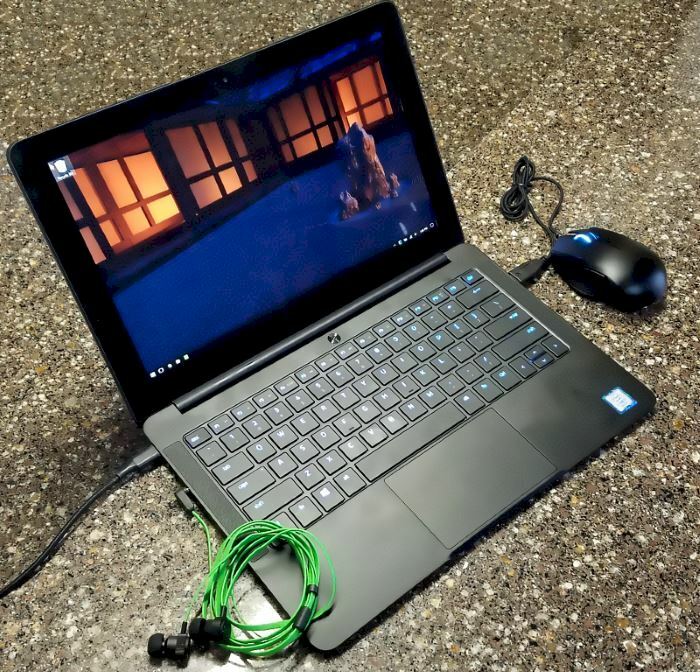 It meets or exceeds everything I was looking for in an Ultrabook at a great price (Razer was running a 150$ coupon + a free gaming mouse, headphones, audio mixing software downloads, and more). I wish the Intel 620 graphic performance was a bit better, but for a on-the-road work/development machine and “keep me sane on long flights” entertainment box, it’s a great fit. When Upgrading Legacy Beats Out "The Cloud"